Maxworth Infrastructures Pvt Ltd came into being with the aim of becoming a leader in the real estate market and has carved out a separate niche for itself in the market. The company has completely changed the perception of people towards the real estate sector by catering to the needs of its clientele and turning their dreams into reality. 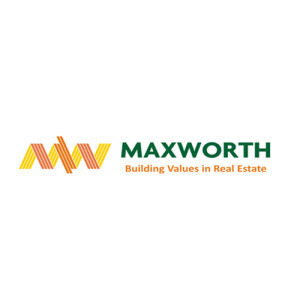 Maxworth Infrastructures has been credited with the development of premium residential and commercial projects across India with a special focus on the development of real estate in Gurgaon. The company’s motto is “Building values in real estate” which is upheld by keeping the demands of its clientele as top-priority. Maxworth has always strived to provide the best real estate solutions to its clientele through optimum utilization of the latest technology. Maxworth has been credited with the development of the premier residential complex, Premier Urban Hub in Gurgaon that has spacious apartments that have been strategically located close to renowned educational institutions. At the heart of the company lie values of commitment, integrity, trust, client satisfaction, constant learning, adaptability and flexibility. Maxworth’s vision is to not only provide projects on time but offer a place with which the clients can associate on a personal level. The company has a strong team of professionals who are dedicated to meeting every single client’s unique needs. Maxworth endeavors to set the highest benchmark in real estate development with its technology, timely delivery of each project and complete adherence to the client’s safety. Under the guidance of its Chairman Mr. Amarjeet, the group has earned the name of being the contractor of choice.